We are delighted to be working again with Crew of a Few Productions to live stream parts of our 40th anniversary conference. If you are unable to join us in person, we look forward to welcoming you as an online visitor to experience these highlights of the conference in Belfast. You can watch live, or access the video recordings after the event. Watch and tweet! 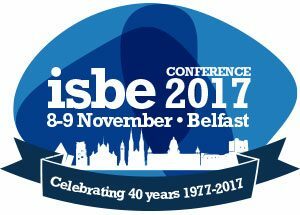 Use the #isbe2017 hashtag. You can still view videos from ISBE 2016 and 2015 on the ISBE Global YouTube channel, along with a wide range of other videos from past ISBE events.